Isla San José is one of the privately owned Pearl Islands. It is also the second largest Island in the Las Perlas archipelago and covers an area of 44 square kilometers. The Island name refers to a Saint. Isla San José is an almost deserted island with approximately 30 people living on it, still nature has the upper hand here. You can find an abundance of wild animals such as exotic birds, wild pigs, which were a plague because no natural predators live on the island but are now contained by the inhabitants and the Smithsonian, deer and lots of reptile species. At the last headcount the San José Island had a population of only 30 people who all live in a certain areas (17 square miles) of the island that is privately owned. In the past there were a lot of dangerous mines placed on San Jose by the US Military. But the US Military cleaned the island before their departure. There were 8 Bombs still found on the island and they are marked by GPS. The mines where dropped between 1945-1947 by U.S. soldiers that where testing chemical arms on the island. The Island is safe now and the Panamanian government is planning to clear the island of all bombs but currently lacks the funding for the project. It still hopes the U.S. will clean up the chemical weapons left behind on the Island (Johnson, 2013). Isla San José has over 50 beaches! The amazing Pearl Island San José has over 50 beaches and a spectacular rocky shoreline on the north side which you can visit. Only a small area on the privately owned part of Isla José is not open for the public. The rest is available since the latest clean-ups of mines by four search parties and the US Military gave a green light. Isla San José might be beautiful now but back in the days it wasn’t a tropical paradise as it is today. Nowadays, tourist can visit San José by staying in the wonderful 4 star resort Hacienda Del Mar, which has been the perfect getaway place for over 15 years now. 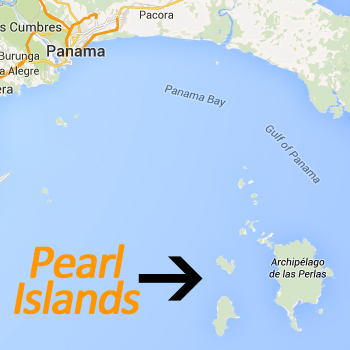 Not every destination in the Pearl Islands is a hotspot for tourist. The Panamanian Island San José is been a spear point in the Panama – US relationship since nobody wants to clean up the bombs left behind. The United States ratified the Chemical Weapons Convention in 1997 and by signing this agreement they said it hadn’t abandoned any chemical weapons in any other nation’s territory. The Organization for the Prohibition of Chemical Weapons (OPCW) treaty says that if a nation abandons chemical weapons (luckily, only less than 9% of the island was used for weapon testing) it is also responsible for the cleanup. While signing the agreement the US never acknowledged the testing of chemical weapons on the island. The real showdown between the nations is about the money that is needed for the cleanup. The price card for the cleaning of San José Island in Panama is estimated around 30-50 million US Dollars, a significant number for both the US and Panama. There is currently an ongoing discussions to clean the island. Since, the US is obligated to clean the island. There are 34 miles of roads to every beach and a 5000 foot paved runway, which has daily flights via Air Panama. San Jose Island isn’t far away from Contadora Island and it is also possible to travel there by boat. If you want to visit San José Island you can make a reservation at the Hacienda del Mar resort which will take care of the transportation. Entering the island is only possible with the permission of the land owners. Most locals living in the Pearl Islands can’t visit San José Island as it is all privately owned.